May is Honor Older American Month. 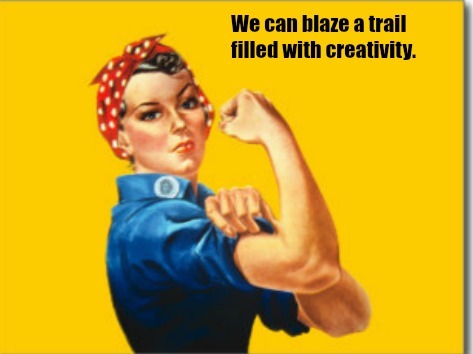 I am dedicating this column to honoring the many wonderful women who are using this bonus time in their lives to blaze trails filled with creativity. 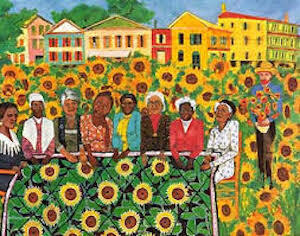 Today I am going to feature Faith Ringgold who at the age of 84 is still creating unique works of art. She quilts the Fabric of History. What follows is from the New York Times Style Magazine. The story features many women artists who have become famous during these bonus years. If you have an opportunity please try to read it, it can be found in the May 15 issue of the New York Times Style Magazine, NYTimes.com. 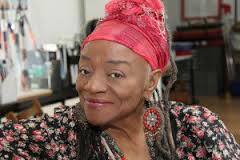 Faith Ringgold, 84, learned how to sew as a child from her mother, Willi Posey, a fashion designer. Her early pieces included hooded masks with fabric, beads and raffia; she also made dolls and life-size soft sculpture. 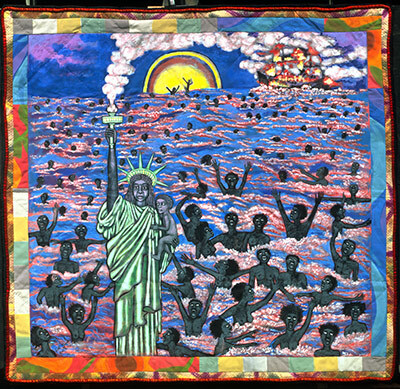 Her signature work is her evocative series of “story quilts,” which include both imagery and handwritten text; she made her first of these, “Who’s Afraid of Aunt Jemima,” in 1983. Ringgold is a longtime champion of both women’s rights — she crusaded to get Betye Saar and Barbara Chase-Riboud, among the few black women the museum had ever shown, into the Whitney Annual in 1970 — and of her own proud heritage. 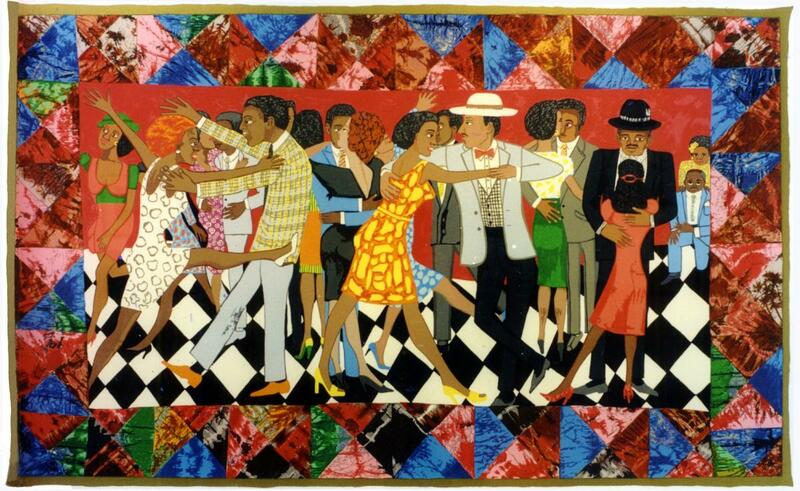 In the mid- to late ’60s, she made paintings and posters supporting the Civil Rights movement. A show of that seminal work, “American People, Black Light,” was exhibited at the National Museum of Women in the Arts in November 2013. The artist first published her memoir, “We Flew Over the Bridge,” in 1995. She also writes and illustrates children’s books, which share the colorful, celebratory imagery of her paintings. 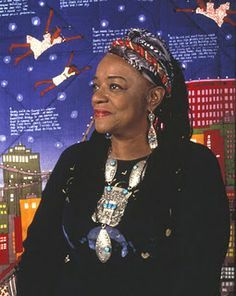 The winner of the Caldecott Medal in 1992 for “Tar Beach,” Ringgold just published her 16th children’s book, “Harlem Renaissance Party,” which introduces some of that great cultural movement’s key members to young readers. “If you live long enough and you persist, you are going to get recognition,” Ringgold says today. “You have to stay in the game.” Ringgold has not only stayed in the game, she recently designed one of her own, called “Quiltuduko,” for mobile devices. Inspired by Sudoku, the number game, it uses quilt designs instead of numbers. I’ve often wished I could sew, but…alas, no! Wow an amazing person! Love this post Bernadette! I love Faith’s observation about ‘staying in the game’. And I’m glad she has recognition. Her quilts are amazing! I couldn’t get over her mastery of this art form. Happy weekend Terry. Watch out for the carp. You too. Joining Jacqueline’s party later.. I am amazed at her use of color and imagery. Wonderful pieces of art! Thanks for stopping by Lori. I agree with you her art form is amazing.